Hi lovelies! After slaving away in the kitchen all afternoon, I hereby introduce fruits of my labour. I must say, it is absolutely delicious! I found the recipe here and it was surprisingly easy to make! It's easily one of my favourite desserts! .Put the flour and sugar into a bowl and rub in 175 g. of butter, clumping the dough together to make a ball. Press this sandy shortbread mixture into the tin and smooth it down. .Prick with a fork and cook for five minutes, then lower the oven to 150 C/gas mark 2/about 320 F, and cook for a further 30-40 minutes until pale golden and no longer doughy. let it cool in the tin. 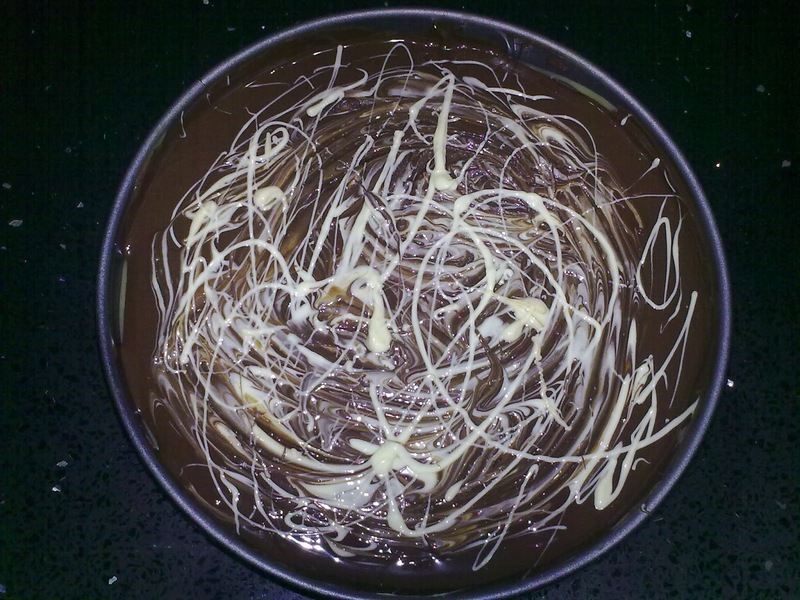 .Melt the remaining 200 g. of butter in a large microwavable bowl, then add condensed milk and golden syrup. Whisk the mixture well until the butter is thoroughly incorporated. .Heat in microwave for 6-7 minutes until boiling, stirring thoroughly every minute. It's ready when it's thickened and turned a light golden brown. 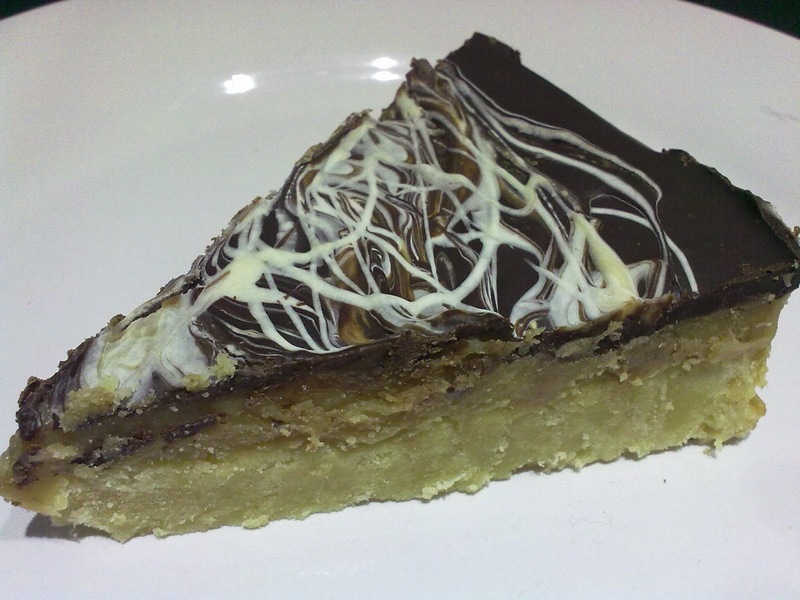 .Pour this molten toffee over the shortbread and leave to set. .Melt chocolate and pour over the fudge mixture and leave to cool. .Once set, cut the caramel shortbread into pieces. Makes about 24. What's your favourite Indulgent dessert? Wow, I'll have to make this sometime!